This has been a bitter, nasty political season. The level of vitriol which transcends political party has created fissures among groups and within families. Whichever political party wins the presidential and congressional election we will all have work to do. It will take work to live into the promise of our Pledge of Allegiance…‘one nation under God, indivisible, with liberty and justice for all’. How do we mend the divisions that threaten to pull us even further apart? How do we live into the values that guide us? To begin we must understand the deep-seated fear and despair that many in our nation are feeling. We need to understand what brought about this alienation and offer practical and effective solutions. People need to have hope. In the absence of hope the gulf that separates us will only deepen and grow. This is the long-term challenge for those we elect and for all citizens. At the risk of appearing simplistic, I offer two steps that I think are essential in restoring us to unity as a people. 1) Listen. Find people who voted differently than you and simply ask them ‘why’. Don’t argue. Listen to understand why they feel the way they do. Listen to their fears. Listen to their hopes. Understanding one another’s fears and hopes are essential first steps to finding solutions. Listening to understand is a profound expression of respect. We may not readily agree on solutions but when we feel heard we are already on our way to finding common ground. Starting with election day intentionally offer a ‘random act of kindness’. Offer an act of kindness at least once a day for one week. Who knows, it may become a life-giving habit. In line for coffee? Buy a cup for the person behind you. At an intersection? Flash your lights and let someone else make their turn. Passing someone on the sidewalk? Say ‘hello’. See someone looking tired and stressed? Offer a silent prayer of blessing. Have a neighbor or family member who you’ve been avoiding because of politics? Offer a gift of kindness. 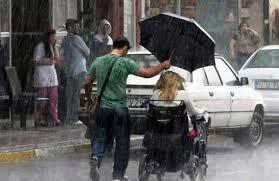 Not only will the act of kindness bless someone else, it will also begin to soften your heart too. The path to reconciliation ain’t rocket science. Listening and offering acts of kindness can go a long way in bringing us back together as ‘one people’. Come Wednesday morning nearly half of us will be pissed off or despondent. Win or lose we each can choose how we will respond. We can choose to listen and be kind. In such simple acts we will find our way as a nation.